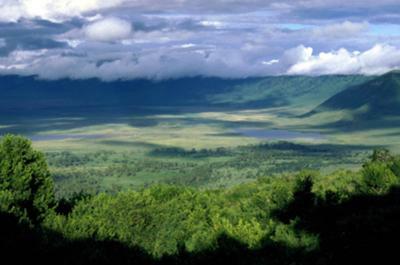 The only seen and proven Garden to date is in Tanzania, where even the remains of the first human was found. It is the only place where you can see the true story of the beginning of human beings. The sumerians and igbos had the same point of orgin in nile valley. Thousands of years ago they became seoarate ethnically. Eridu(mesopotamia), Eredo(nigeria). Eredo means "Ur of the Idu/Edo. The sumerians,Igbos and Dravidians and Ancient egyptians,seem to be one person. nimrod was a kushite,he ruled tigris eurphrates. edo of nigeria are also related to edomites if arabia. They were same people in nile until one group went west,(benue trough)and the other group went east. dna r1b is found in w.europe,but its point of orgin is chad,benue trough. smartest person so far, evidentially. garden of EDEN was located at MONGOLIA, and not only the garden of EDEN, but also the ark of the COVENANT and the temple of SOLOMON. One fact most who search for the Garden of Eden ignore is that there was a world wide flood that destroyed the whole earth of that time. That means that the Garden of Eden was destroyed in the Flood, which means it cannot be found now. Linguistic and other evidence points to the Middle East for the earliest mankind. Just reading Scripture, Noah landed probably in the Mountains of Ararat found in Iran. Basing any source for Garden of Eden on so-called "science" of "earliest humans" is bad science because there have been way too many conjured "earliest humans" "discovered" all in an effort to "prove" Darwinian evolution. Due to my studies in writing my book "New Evidence for Two Human Origins: Discoveries That Harmonize the Bible and Science," I discovered a book by David Rohl that pinpoints the location of the Garden of Eden. It was in northern Iran just east of Lake Urmia. He explains it in his book "Legend: The Genesis of Civilisation [British spelling]." I explain the Hebrew exegesis backing up this view in my blog http//www.garytmayer.blogspot.com. My two articles on the subject are "Where Is the Garden of Eden?" and "The River That Went Out of Eden." One must place the Garden at the heads of the Tigris and Euphrates Rivers. 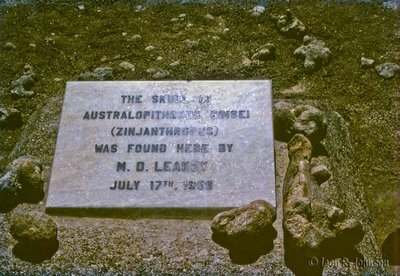 The 'Out of Africa' Myth ! The 'Out of Africa' theory is a myth designed to promote politically correct racial harmony between all races by attempting to proclaim all races came from Africa. It is not as scientific as it purports to be and is more of a social construct. The same liberal, social construct that says that the concept of race no longer exists! The fact that "all people out of Africa, EXCEPT for the black man, have the same DNA" does NOT prove that we all came from Africa! It simply means that all white and mixed race (black & white) people outside of Africa share the same DNA and that is caucasoid (white) DNA. [i.e. white people and colored people both have white DNA in them]. This is why they EXCLUDE the African pure black race in these studies of people's DNA outside of Africa. If they included that DNA then you would not be able to compare it to Caucasoid DNA and claim they share DNA. However the mixed race (coloured) DNA can be made to fit the black and white race DNA since it is a mixture of both. Therefore it is not true that all DNA outside of Africa came from Africa simply because it is shared among, or is common to many different races outside of Africa. Because a colored man has white DNA in him, that does not make all white people colored, and neither does it make all white people black originally ! The Garden of Eden was near the headwaters of the Tigris and Euphrates rivers. Tanzania so-called man is nothing more than an ape, like David has stated. Before God created anything He had already decided to destroy everything. This world is not here to last forever. It is here for God as a way to do his work. Once His work is finished He will destroy it all. Gods plan is to create a people for Himself. In order for Him to do that He gave His creation the ability to know good and evil. Once evil entered into the equation God gave control of His creation to man. He knew man could not control good and evil. We see the results of this everyday. War, rumors of war, death, murder, and destruction. When man sinned against God, He left man to his own desires. They say there are two sides to every story. Man being corrupt knows only one side. God gave man a conscience that either tells us we are wrong or right. The only time God changes anything in this world is when He saves someone. That saved person is then made alive to God. When God is through saving all Whom He will save, then this world will be destroyed, and a new Heaven and Earth will be created, where sin will not be an influence anymore. Only God knows when that will be. The common error, I believe, is calling it the Garden of Eden. The earliest writings are cuneiform by the Sumerians. These are written as E-din, which is between the Euphrates & Tigris. Early fossils show Mycene apes that were the first to walk upright, however modern man ( Homo Erectus )and Neanderthals show completely different DNA, which means they were altered deliberately, not by time or evolution.